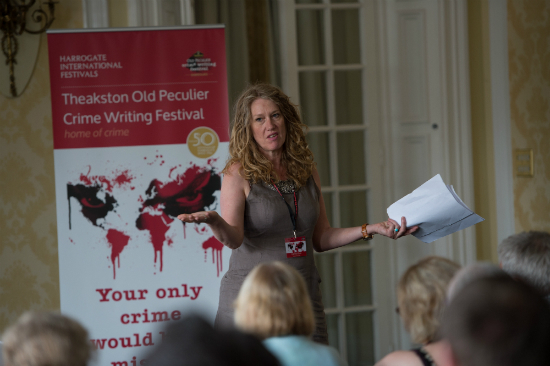 This year’s Theakstons Old Peculier crime festival kicked off with an eye-opening set of workshops for new authors interested in exploring their darker side by penning a crime novel. Samrana Hussain (@samranah) headed across to Harrogate to find out what makes a novel worth reading according to some of the best crime writers around. #Ruleone of write club is to engage the reader – and thankfully rule two isn’t that you can’t talk about your experiences, unlike #fightclub. A whole day of workshops thoroughly entertained wannabe authors ending with a fear inducing opportunity for gonnabe authors to pitch their work to the cream of the publishing industry. This included the publishing industry’s answer to Simon Cowell’s the brilliantly astute Jane Gregory of Gregory and Company. The highlight for me was the Psyche your Character workshop run by well-known author Danuta Kean (@Danoosha) award winning journalist, commentator and editor. The class showed me how to get deep under the skin of a character so the reader can connect with him or her. It offered the chance to see my character through the eyes of other people, and the importance of showing your story rather than telling your audience what is happening. I’m the first to admit that’s it is ever so easy to over-indulge in a character’s quirks and issues, but thanks to this class I now better understand how to find creative ways to show and not tell the array of possibilities that an understanding of human psychology reveals. I have to admit that I know some of Danuta’s back story and admire her efforts to improve diversity in publishing, which is shockingly low, so am probably a little biased in her favour. 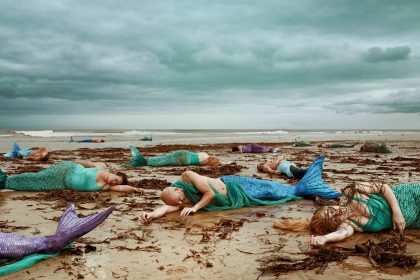 But it was by no means an easy class and really made me think about who I was writing for, myself or the audience. Other classes included intensive writing workshops around How To Write a WhyDunnit, run by Award-winning writers Sarah Hilary and Alex Marwood. This session covered what elements distinguish a “WhyDunnit”, how you go about writing a successful thriller where the focus is on building up drama rather than punishment, and how to ensure your characters take centre stage. I have no doubt the tips will help improve my writing and give my characters more depth. William Ryan and M.R. 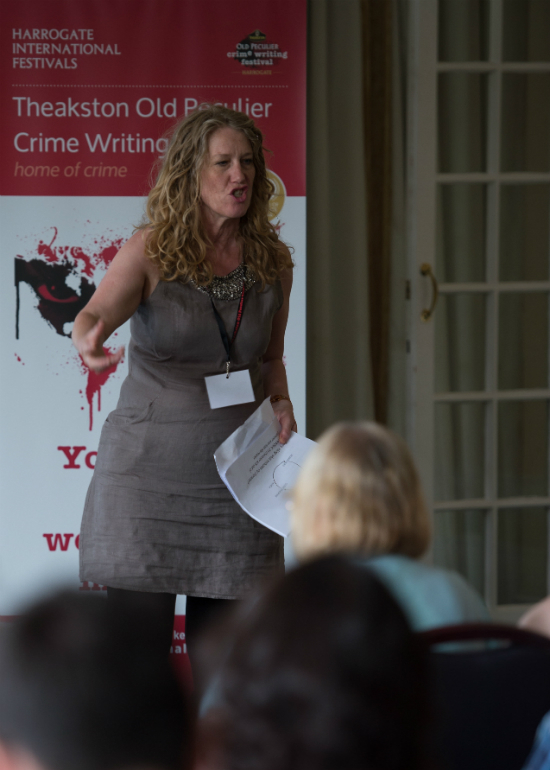 Hall also delivered an engaging workshop for writers who’ve completed or are working on a first draft and want to take it to the next level and for beginners aiming to turn promising ideas into great novels. And then there was the The Dragons’ Pen – a cross between the infamous Dragon’s Den and The Voice which left wannabe authors quaking in their boots as they pitched to four publishing professionals. With only two minutes to convince them their first chapter and synopsis were worth reading it wasn’t for the faint-hearted. 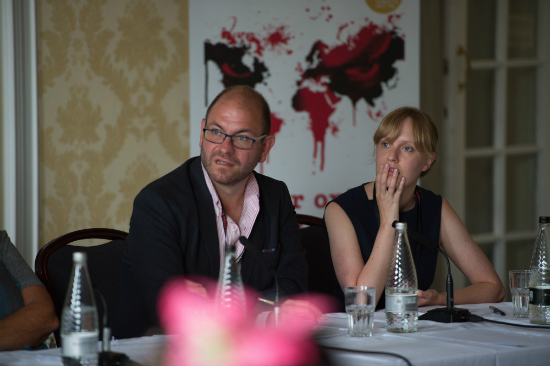 It certainly had the audience enthralled as the newbies put their ideas out to share with the publishing world. 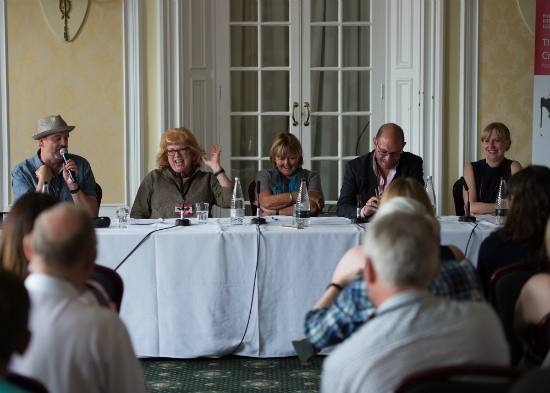 Creative Thursday was a day-long series of crime fiction creative writing workshops focusing on how to get published held at The Theakstons Old Peculier Crime Writing Festival’s on Thursday 21 July 2016.